You are here: Home | Family | Miss Humblebee’s Academy Giveaway! Miss Humblebees Academy is an online kindergarten prep program for children ages 3 through 6. It’s content is fun, original and motivating. To find out more about how Miss Humblebee’s Academy can help your young student, read Momma Lew’s review here. 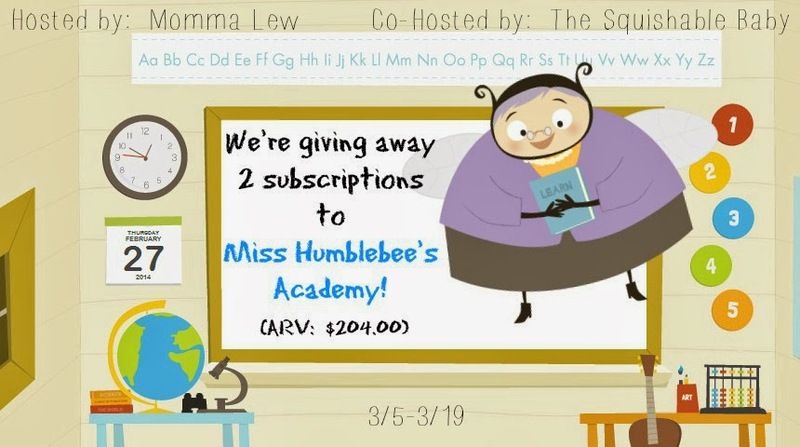 2 lucky readers are going to win from Miss Humblebee’s Academy! Momma Lew’s Blog and participating bloggers are not responsible for prize shipment. Only Momma Lew’s Blog has been compensated for this giveaway.